What’s one of the most important things to a runner other than their running shoes? Running bling of course! We know how hard… you worked for your finisher medals. Now it’s time to show Off Your medals! 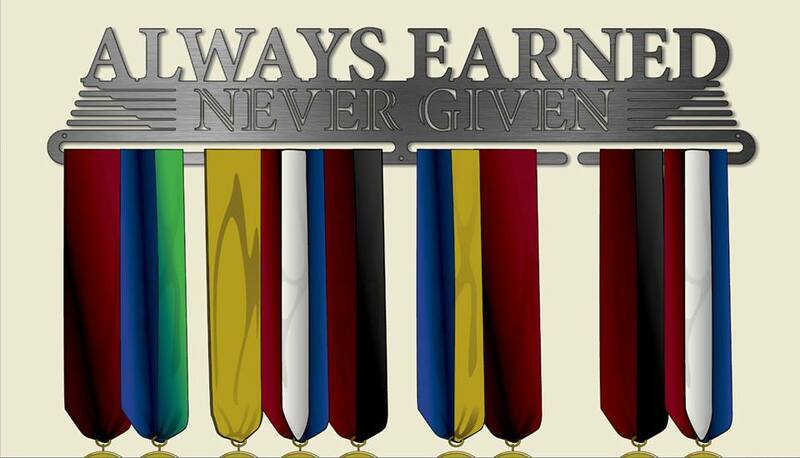 Favorite Run teamed up with Allied Medal Displays this holiday season to giveaway THREE of the popular “Always earned, Never Given” medal hangers to our loyal fans. What races have you run? Do you have any races coming up? That’s it! You’re entered to win! We will randomly select and announce the three winners at 12:00pm (noon) PST on Sunday, 11/17!